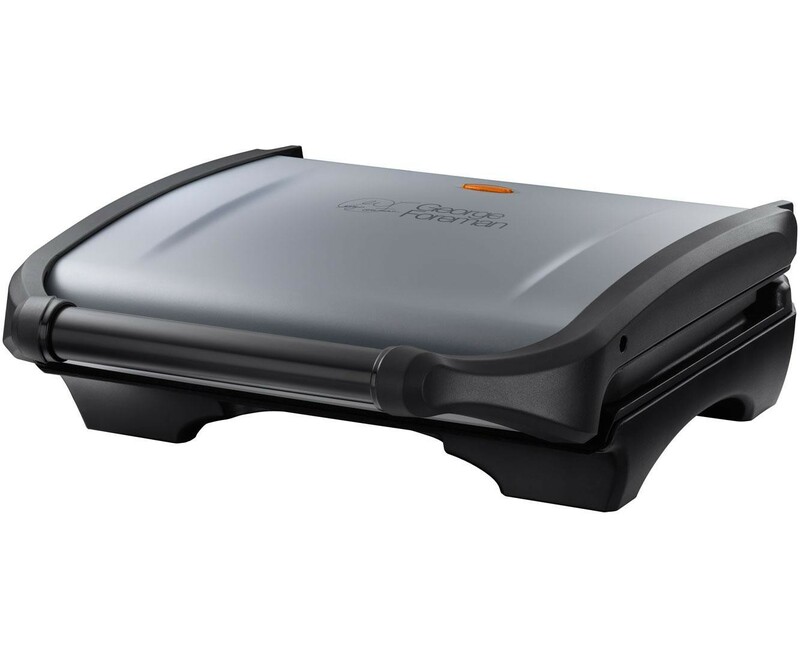 The George Foreman 19920 1630W Five Portion Family Grill is the perfect way to enjoy your favourite foods in a healthier way. The large cooking surface enables you to cook up to 5 portions of food allowing you to feed the whole family and the sloped design of the grill ensures that all the fat and grease is removed into the separate drip tray that can removed and cleaned easily. The floating hinge allows you to cook thicker food just the same making it great for thick steaks and burgers and the vertical storage makes the grill easy to store away to save worktop space.